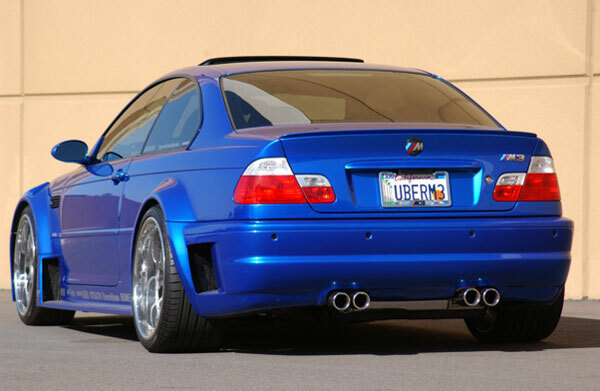 This is a modified BMW M3 by Craig Lieberman. In german, “uber” means fastest, so this is how his latest creation is. It’s got a flossman wide body kit that costs around $7,500 and 20″ HRE wheels that make the car look more aggressive. It has an inline-6 engine, that can reach a top speed of 250 km/h. The engine develops 355 HP and you could accelerate to 100 km/h in just 4.9s. Also, there were many other modifications: brakes, suspension and a lot of interior tuning: new Sparco seats, new dashboard and an incredible sound system that combines JBL and Infinity equipment. Great car, one of the best to feel real power.